Here at Union plumbing our plumbers in Honley are trained to deal with all kinds of situations. From general repairs and gas work, 24 hour emergency call-outs, to full kitchen and bathroom installations we have you covered. 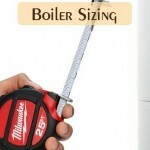 Our trusted and friendly plumbers carry out work to the highest standards, we are unbeatable on quality and price. We are here to take your call anytime, day or night. So if you need a plumbers in Honley you can trust then contact Union Plumbing in Honley for more information. All of our staff are fully qualified to handle almost any situation. We have highly experienced gas safe registered engineers on standby 24 hours a day 7 days a week to assist you with your gas or plumbing emergency. Drains can become blocked for a variety of different reasons. You’ll ´probably be surprised at the kind of objects that manage to find their way into your drains. Everything from soap, jewelry, children’s toys, hair and toiletries, to one of the most common causes which is, grease and cooking fat. Blocked drains need immediate attention, the longer you leave it the worse it will get. Most of the time, the average homeowner can deal with a clogged drain, along with the aid of a plunger and some good old fashioned elbow grease. But if you find a blocked drain that’s too tough to deal with yourself, then you should contact us today and speak with one of our specialists. Our heating engineers are qualified and experienced enough to capably handle any of your plumbing and heating requirements. All of our friendly staff are gas safe registered and ready to carry out any general boiler repairs, servicing or heating installation that you require. So if you’re looking for a new boiler installation or just want your gas appliances serviced, then you should call Union Plumbing. 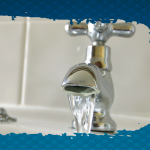 one of our fully trained and equipped expert plumbers will get straight to you. And for your peace of mind you can sit back and relax knowing that we are fully insured and guarantee all work carried out by our heating experts. Plumbing emergencies can occur at any time and that’s why we have a 24 hour emergency hotline open 7 days a week. If you have a plumbing emergency and you live in the Honley area, then you can call us at any time, day or night, and we will get one of our top plumbers out to you as fast as we possibly can. We promise you will not be waiting long for one of our plumbers to arrive and when they do they will know exactly what to do to resolve your plumbing emergency, so you can relax knowing that our trusty Plumbers are there to handle the situation.